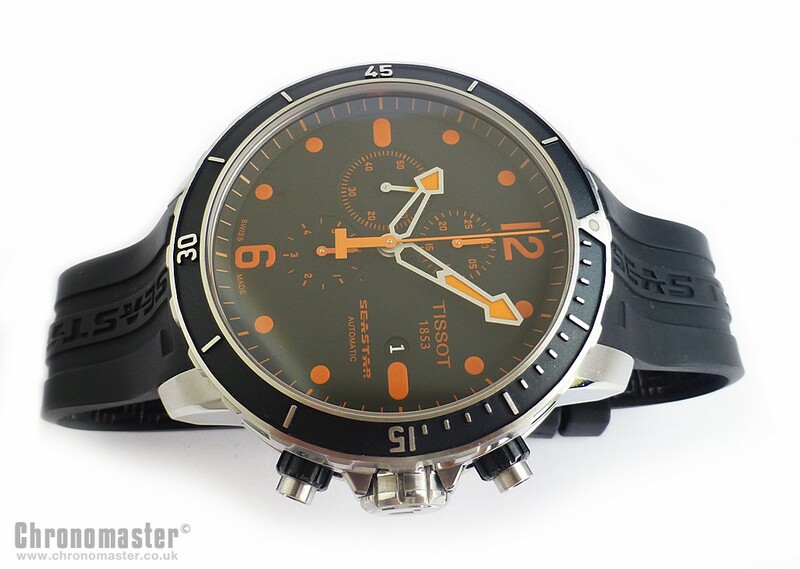 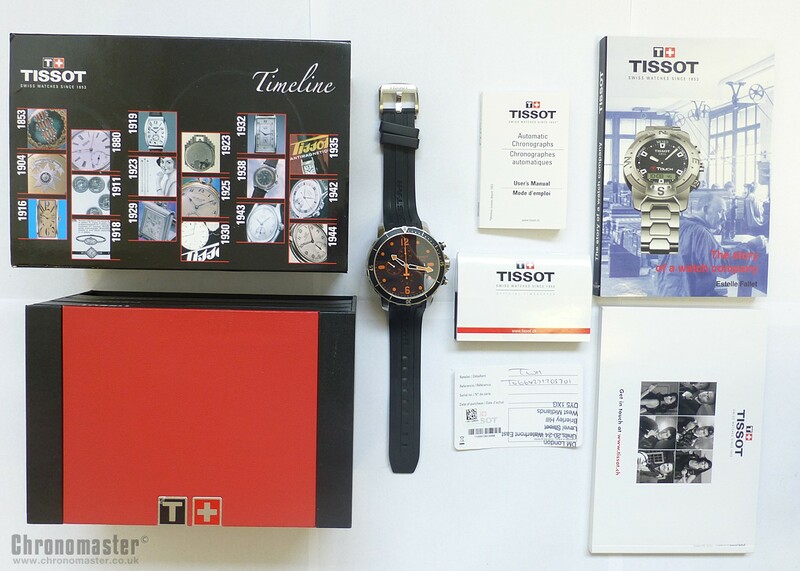 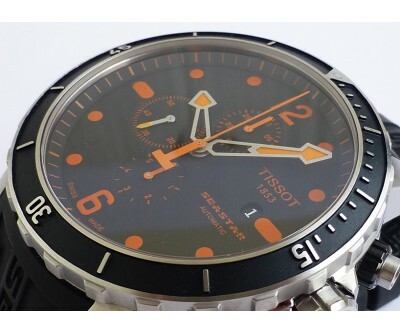 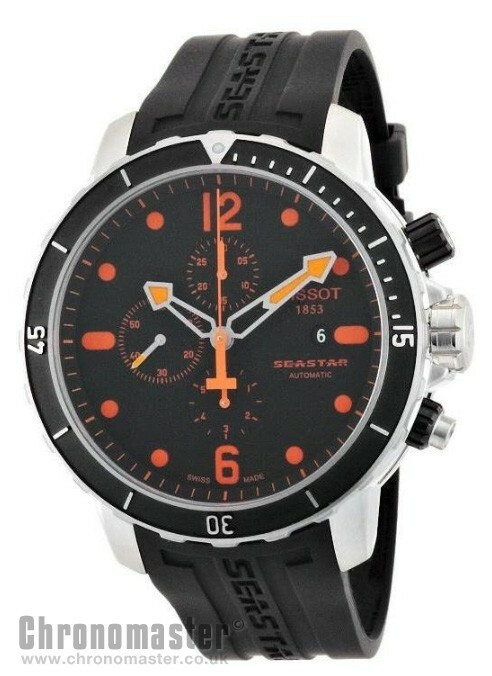 Large size mint condition Tissot Seasatar 1000 automatic chronograph with distinctive black dial and orange hands and indiex markers. 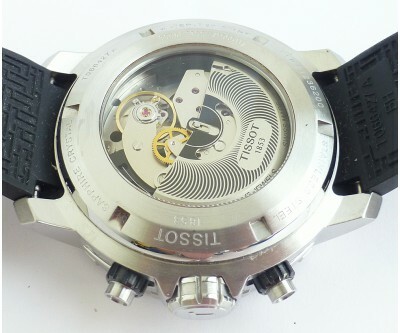 Display back showing off the movement. 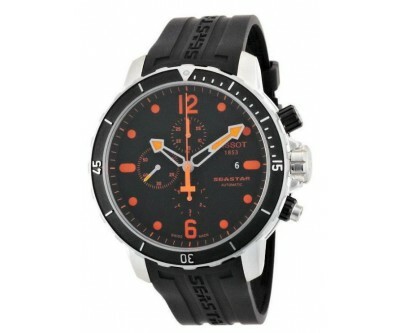 Stainless steel case with a black rubber strap. 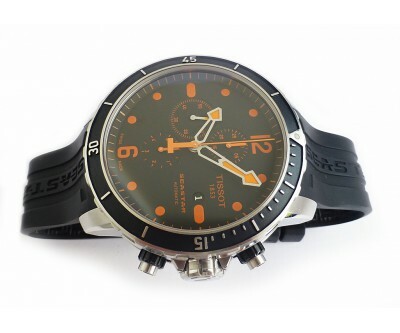 Unidirectional black PVD bezel. 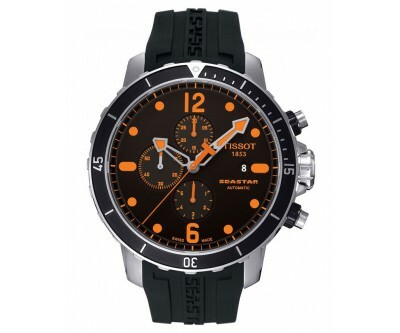 Black dial with silver-tone hands and index hour markers. 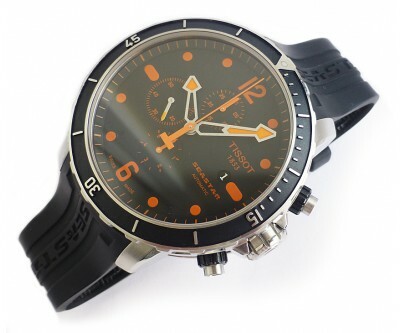 Arabic numerals mark the 6 and 12 o'clock positions. 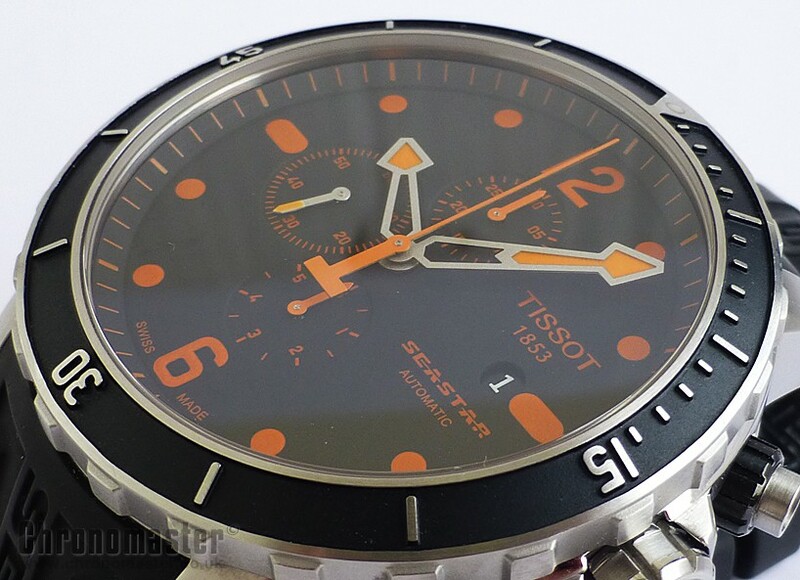 Minute markers appear around the outer rim. 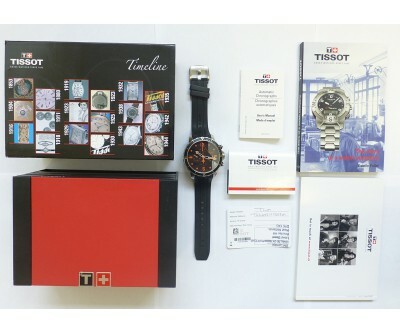 Swiss Made. 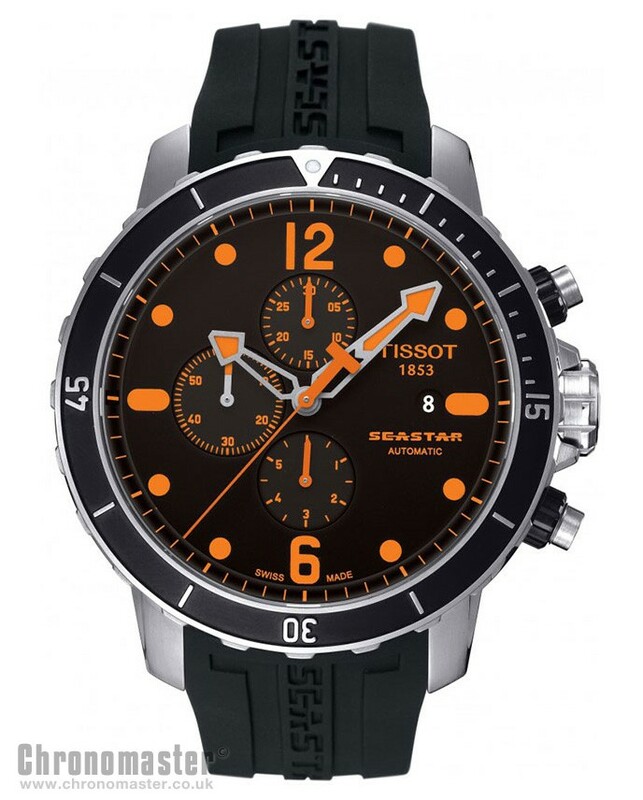 Automatic chronograph movement with date window. 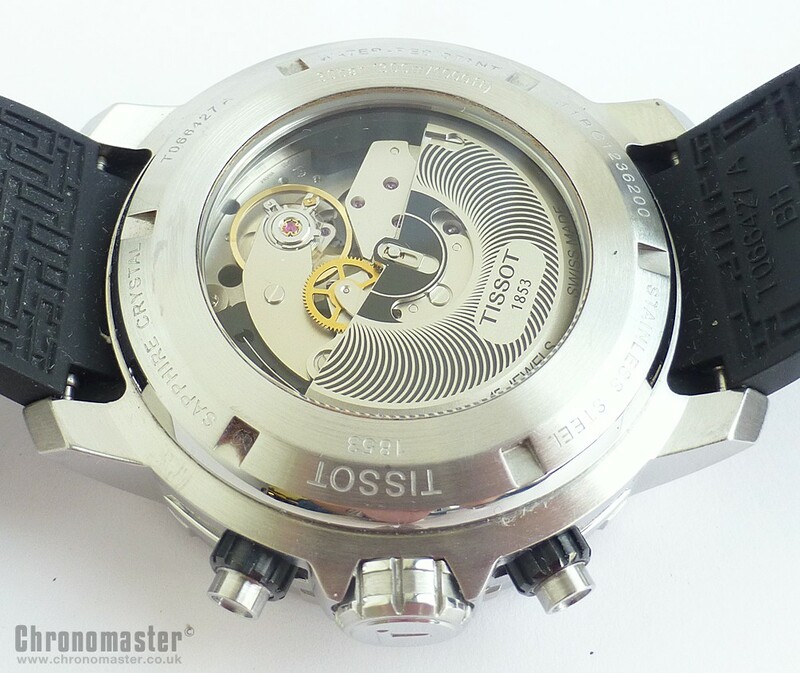 Introduced in 2008-2009 as the result Tissot asking ETA to develop a Swiss made chronograph movement suitable for large-scale production at low cost, though collectors soon recognized the Valjoux 7750 in the lay-out.